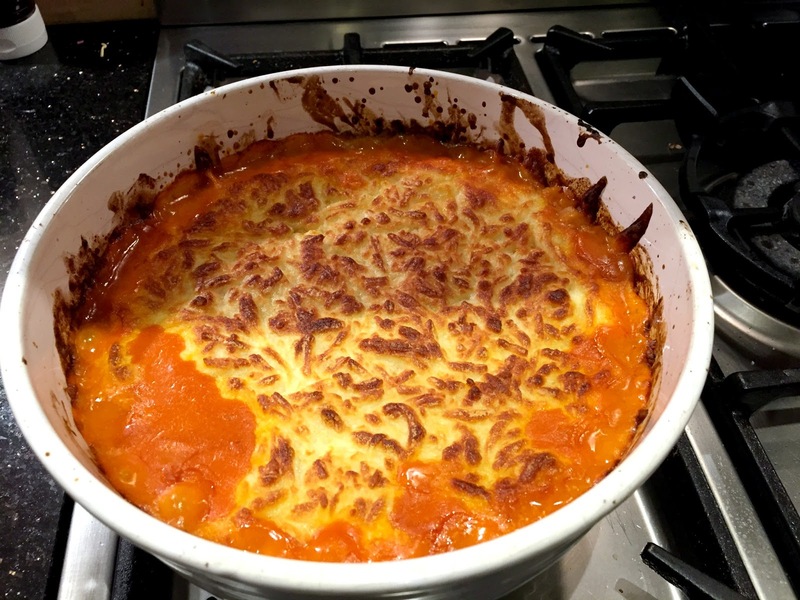 Pasta Bake is another favourite meal in our house, it's easy to make and super-tasty. I use a jar of sauce (shock-horror! ), on the jar it says to simply add pasta and cheese but I much prefer my pasta bake with chicken too. 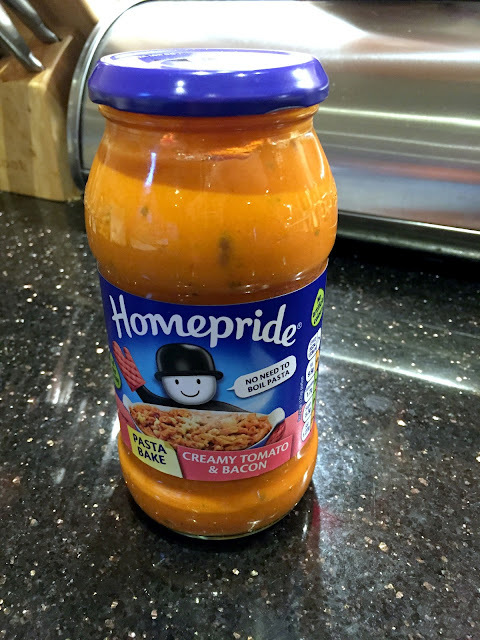 *After extensive research I've found Homepride to be the best and tastiest sauce for pasta bake (creamy tomato & bacon is our favourite). Preheat the oven to 180ºC (fan assisted). Put your pasta (as much as you choose) into the ovenproof dish. 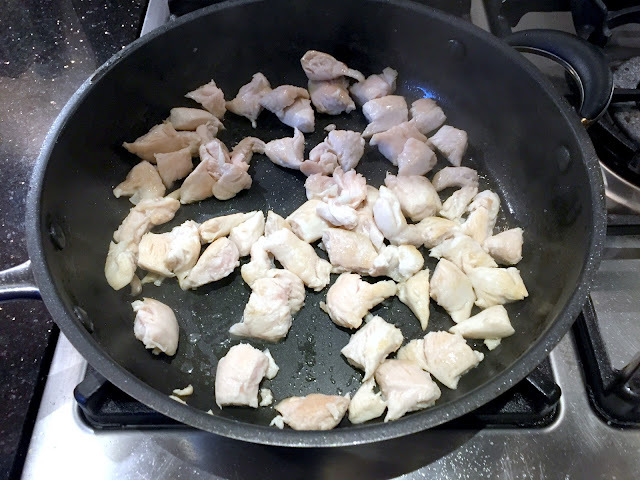 Fry the chicken until it is lightly browned, this should take 5 minutes or so. 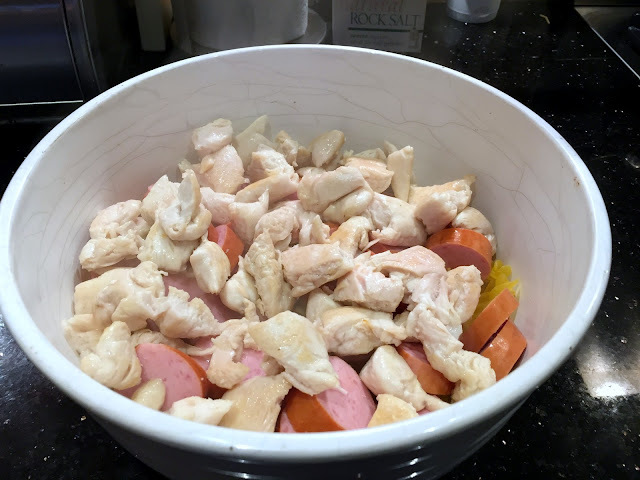 While the chicken is frying slice your cooked sausage and add it to the dish. Discard juices and add the chicken to the dish. Pour the pasta sauce over the top of the chicken. Fill the pasta sauce jar with water (to the top of the label) and replace the lid. 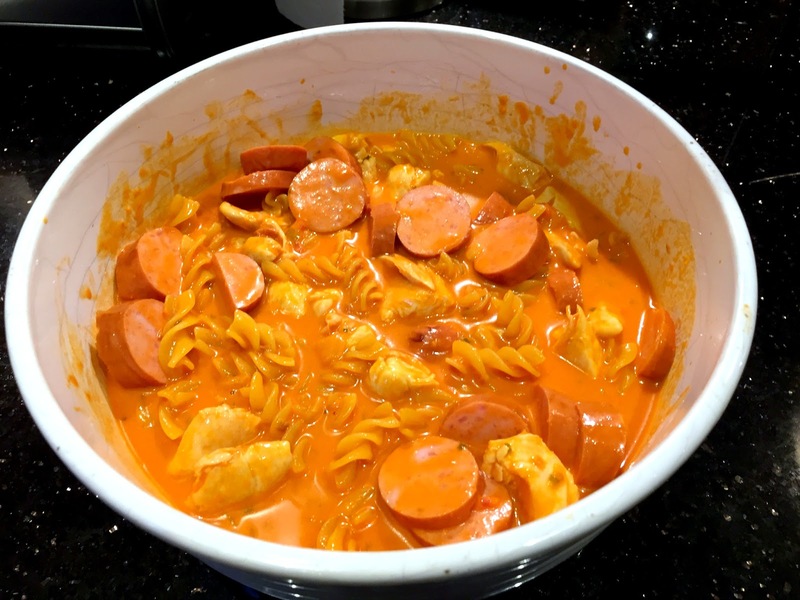 Shake the jar, remove the lid and pour the contents into the dish with the pasta, chicken, and sausage. Stir the sauce in ensuring that all the contents are coated. Cook in the oven for 25 minutes, stirring occasionally. After 25 minutes sprinkle grated cheese over the top, covering contents. Put your pasta bake back in the oven for 20 minutes, or until the cheese has lightly browned. Once cooked allow to stand for 5 minutes or so as it will be very hot. Hi Morgan, I like the sound of this and served with a salad it would make a nice quick dinner! I bet it would work with one of the homemade tomato based sauces I keep in the freezer too. Will definitely be giving this recipe a try! This looks delicious. 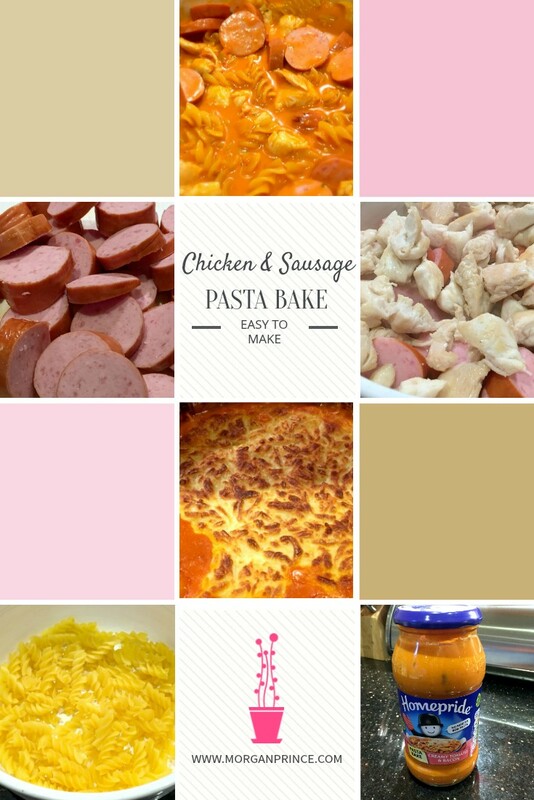 We are a huge fan of pasta bakes here, they are an easy but tasty tea after a hard day.